We welcome you to the Wild Rose Suri Ranch and would love the opportunity to introduce you to Peruvian Suri alpacas and show you how our breeding program can enhance your current Suri herd. The Wild Rose Suri Ranch is located on the East coast, in the Mid-Atlantic region, in the small town of Havre de Grace, Maryland where the Susquehanna River meets the northernmost point of the Chesapeake Bay. Havre de Grace is located about 40 minutes Northeast of Baltimore, Maryland, and approximately 60 minutes Southwest of Philadelphia, Pennsylvania. Click on this link for directions to the ranch, or you can click on the icon titled "Directions"on the Home page. 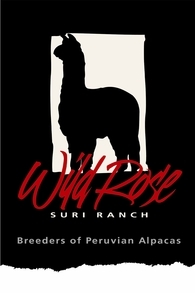 We welcome you to the Wild Rose Suri Ranch and would love the opportunity to introduce you to Peruvian Suri alpacas and show you how our breeding program can enhance your current Suri herd. The Wild Rose Suri Ranch is located on the East coast, in the Mid-Atlantic region, in the small town of Havre de Grace, Maryland where the Susquehanna River meets the northernmost point of the Chesapeake Bay. Havre de Grace is located about 40 minutes Northeast of Baltimore, Maryland, and approximately 60 minutes Southwest of Philadelphia, Pennsylvania. 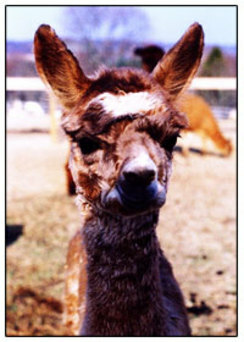 Click on this link for directions to It has been our experience that folks who visit the Ranch, whether they are experienced alpaca owners, new alpaca owners, or people exploring the alpaca industry, are swept up in the excitement that these beautiful animals generate. Time just seems to slip away, and the blood pressure drops dramatically when listening to their gentle humming. We are always happy to share our excitement and knowledge about alpaca management, the alpaca industry, the alpaca lifestyle, and investment opportunities.the ranch, or you can click on the icon titled "Directions"on the Home page.